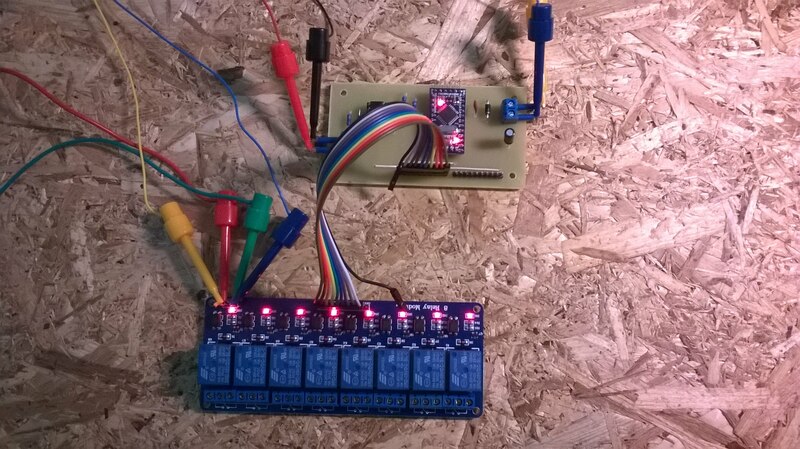 The Decoder is built around the Arduino platform. The decoder will occupy a specified address plus an additional 15 consecutive addresses. 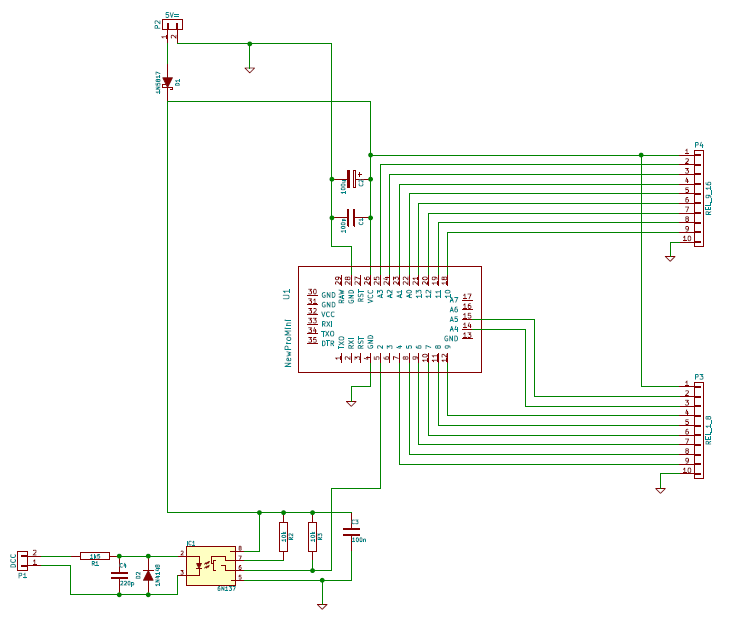 The Decoder module consists of the Arduino board, with a sketch (program). Pins 4 – 5: Connected to the connectors P3 and P4 which are connected relay control. The DCC Signal is fed through optocoupler 6N137 to the Arduino. This project uses the NmraDcc library. A description of the installation of the library in the development environment is described on page 12 Arduino programmer. The program has DCC_R16_v01.ino on line 15 of the registered address of the first relay. This address can be when recording a program to change the Arduino. Be careful not to use a reserved DCC address when the changing the address of the module. The development board is connected to the relays via an optical isolated circuit.